Sub-miniature and surface mount, the CS1213 is SPST and momentary with a locating boss option. This tactile switch is available with a gull wing or J-lead termination with earth ground being another option. 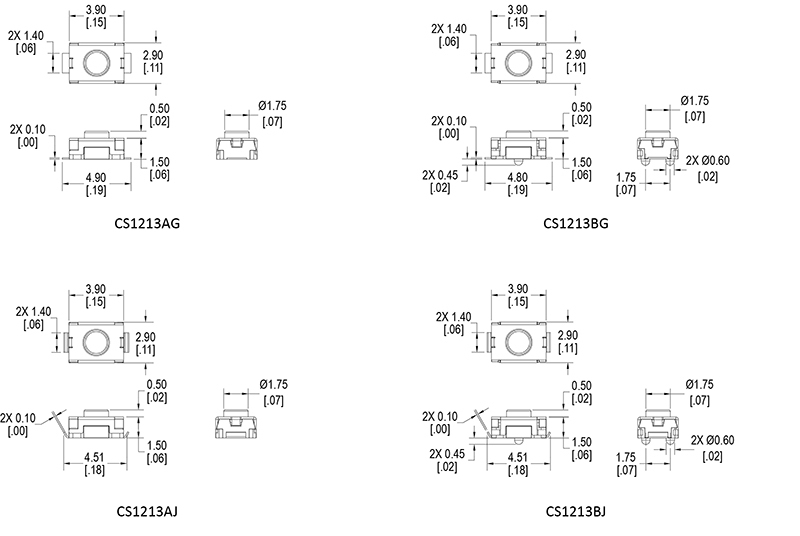 Actuation force choices of the surface mount momentary switch are 160gF or 260gF with actuation travel of .15mm. 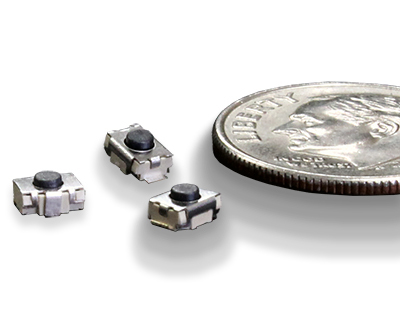 The CS1213 surface mount switch is exceptionally small to fit in even the tightest PCB boards.